Subtle definition or flicked to perfection. Your choice. Eyes are one of those areas where even just a little product can make a huge difference. Make-up artists who specialize in creating the 'no make-up' wedding looks for brides will still insist on placing a wee bit of colour between the eyelashes because the definition that it adds to the eyes can't be matched by any other technique. Then there are those ladies who already fully appreciate the power of a good liner and happily assign upwards of 15 min of their precious pre-work getting ready time to ensuring their eyeliner wings are perfectly even. No matter what your style, we have a eyeliner treatment to suit. Pigment is carefully placed in between the eyelashes, defining the eyes and giving the illusion of a thicker row of lashes. An eyelash enhancement as above, with the addition of pigment above the lashes. 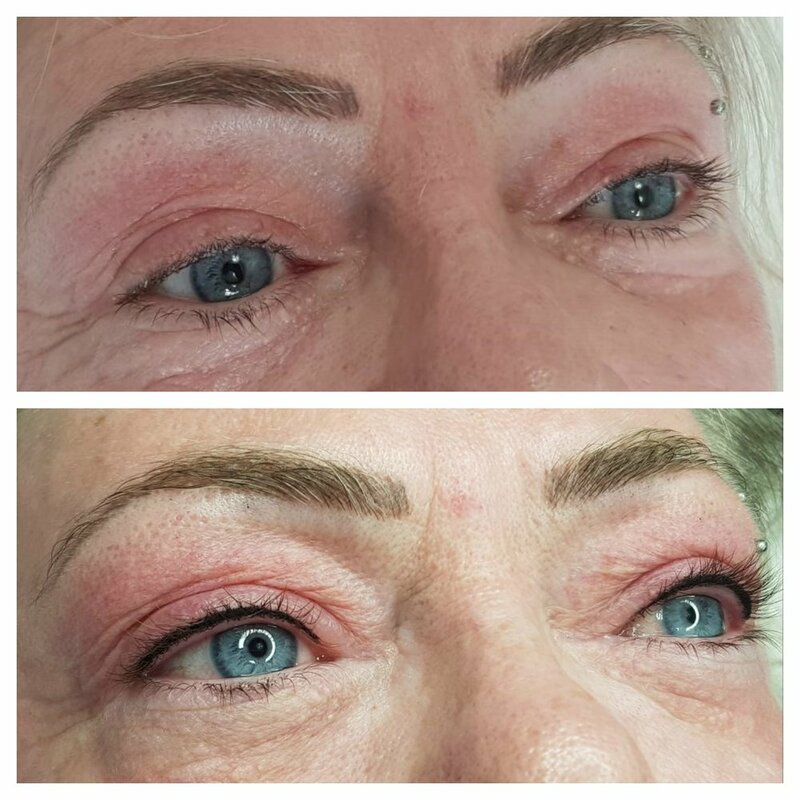 This liner is intended to heal with a soft edge, and can be made thin or thicker, depending on the clients individual preference. An eyelash enhancement as above, with the addition of pigment above the lashes in a sharp, winged liner, similar to a liquid liner look. As with all our cosmetic tattoo treatments, a topical numbing cream is applied prior to and during the treatment to ensure you are as comfortable as possible. It is completely normal to experience swollen lids after the treatment, which can be even more noticeable the day after the treatment after waking up. Please bare this in mind when making plans to drive etc. £275- 2h initial appointment and 1.5h 6-12 week retouch. £325- 2.5h initial appointment and 1.5h 6-12 week retouch. £375- 3h initial appointment and 1.5h 6-12 week retouch. Add bottom lid liner to any of the above for £50.